A few weeks ago, on a Sunday afternoon, I found my seat to watch two gold medal teams face off at the Ford World Women’s Curling Championship in North Bay, Ont. 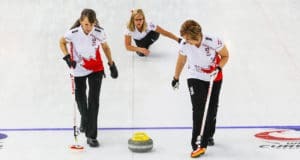 Jennifer Jones and Anna Hasselborg, both intact gold medal Olympic teams, going head to head in front of record numbers of fans; history was being made. Earlier in the week, we had met with fans, with the local organizing committee, our military, our federation and national and international sport executives, with local government, our television and marketing partners, tourism executives and our event staff. Everyone agreed that this event was indeed one for the history books. The game itself did not disappoint. Shot making, hair’s breadth tactics and the intensity of world-class athletes kept the momentum shifting and the crowds gripping the edge of their seats. 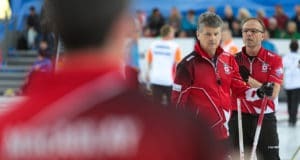 A record crowd attended and again, history was made with the largest attendance at a Canadian Ford World Women’s Curling Championship. But as the game began its crescendo, I became aware of another history that was happening alongside me. 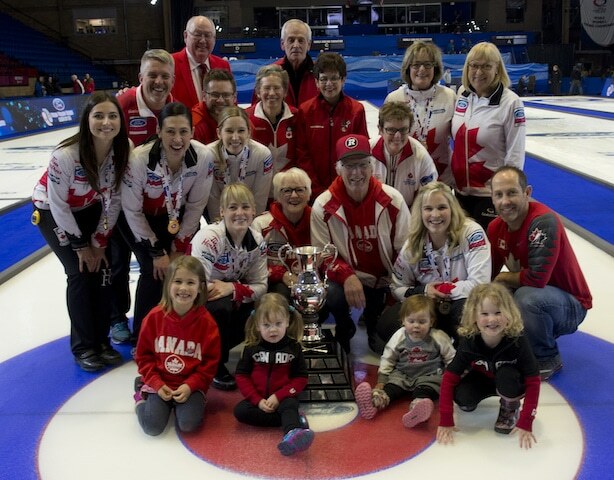 Earlier, I had spoken with some of the players’ families and, realizing that there were young children attending the game, had suggested that our Curling Canada suite, with a little bit more room for toddlers, might be a good place for the supervising parent to see the gold medal game. With room to roam for the curious and newly walking, space for colouring, and a bird’s-eye view of the action, this space was a perfect setting for me to watch the game with husbands and children and grandparents of our national champions. I could also now see history being made through the eyes of four little girls. Charming and outgoing, these children provided me with the opportunity to watch and witness new steps learned in tap dance class, the fascination of a toddler as she poured her popcorn from the big cup to the little one, the mad scribbles of one just learning to hold a crayon and the careful keep-inside-the-lines artwork of her older sister. I saw them interact with their fathers, who were supervising the fun and ensuring manners and snacks and bathroom breaks were all fit into this three hours where records would be set and fans would be treated to strategy and shot-making that was unparalleled. These granddaughters crawled into the laps of grandparents for a snuggle and squirmed or danced or jumped their way back to the game that they were playing. 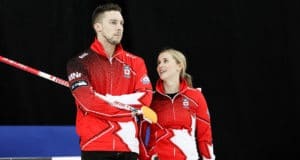 Woven into this afternoon of family and play, they took up the chorus to cheer for their mothers – “Go Mommy” at a World Championship was as normal a part of their lives as playing with memory cards and eating cut-up fruit. As the game drew to its conclusion and as joy erupted in our little enclave, all the players of Team Jones, in their victory, looked up to see their families waving and shouting and clapping and high-fiving. In victory and with the media crowding around our national and world champions, these little girls descended the stands to be with mommy. They posed with their mothers around trophies and inspected medals and absolutely threw themselves into the euphoria and chaos that happens just after an athlete wins a big one and books their place in the record books. They hugged and kissed and jumped and laughed and mugged for the cameras, utterly and seamlessly, an integral part of this triumphant moment in sport. And as I watched the scene below me unfold, it struck me that these beautiful, spirited, little girls – Camryn, Skyla, Isabella, and Vienna – were a part of a larger history. This is a history when mothers were celebrated as champions by the world and where they had to settle for no less celebration because they were mothers and partners. This was a moment where fathers, successful professionals, some highly decorated athletes themselves, took on the roles of support so that their partners could stand on a podium and look outward to see the faces of their fans who idolized them as athletes as well as the happy faces of those who loved them as mothers and daughters and spouses. I thought about what all the little girls and boys in that arena saw that day. 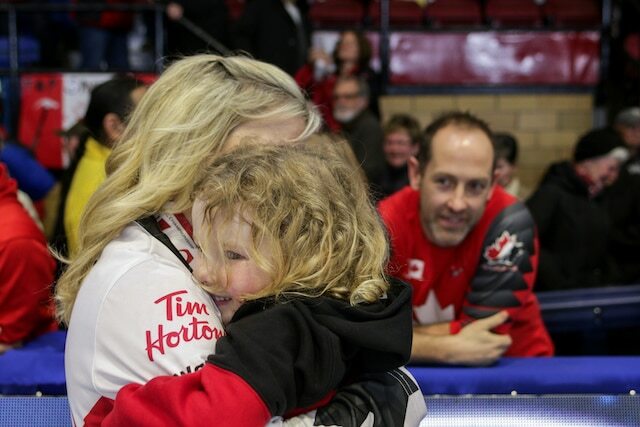 In all the jubilation of being a part of a Canada win, did this scene settle somewhere in their consciousness so that when they dream about what they want out of life, there is a notion of children and parenthood and supportive partnership that has somehow become attached to that dream? As well, do champions, once they become mothers, understand on a more profound level that those wonderful moments of interacting with their young fans can really change lives? 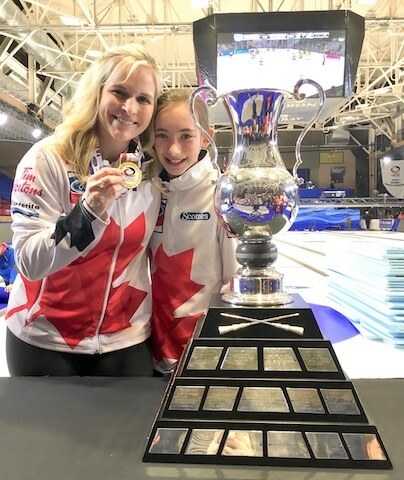 Jennifer Jones embraced a dedicated twelve-year-old North Bay fan, Sara Moore, into her moment of glory so that this young girl could drink in the atmosphere and share a bit of what Jennifer was feeling. The whole team’s interactions with their young fans all feel so human, so giving, so real – I wonder if this presence of children with unalloyed love and admiration for all the things that Jennifer, Kaitlyn, Jill, Dawn, and Shannon are has allowed these women to see themselves in the greater light in which children see them, creating something greater that they can give back. Was I part of one of those moments in history that we look back on and realize that these were happening around us but we didn’t recognize that a massive shift was occurring? Perhaps we have arrived at a place where the focus and grit and single-mindedness of chasing a world championship no longer come with the pressure of external expectations of what defines a fulfilling family life. 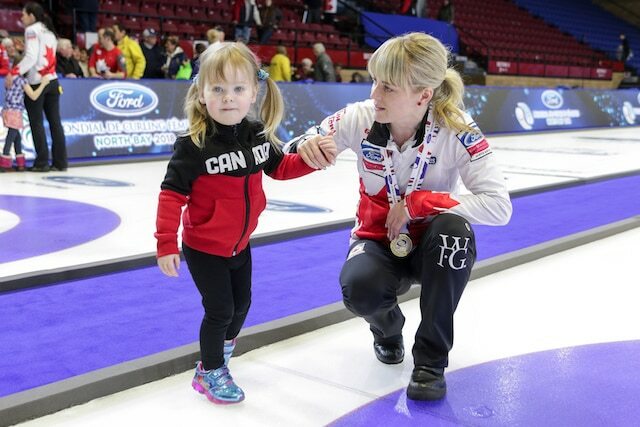 Maybe we are embracing the idea that mothers who have huge dreams and chase them are the inspiration because they wear their motherhood as unabashedly as they wear their gold medals. As I watched from my perch, as the media and fans trickled out of the building and the load-out started, I saw history being made as moms and champions held tiny hands and exited the building. Previous: Under-18 Canadian championships now underway in St. Andrews, N.B.